Home » Blog » Patient Resources » Uncategorised » How Can I Brighten My Smile? How Can I Brighten My Smile? How does professional in-chair bleaching involve? It is possible to whiten and brighten your teeth by coming in for a professional teeth whitening treatment at our practice. During the treatment, which is conducted in your dentist’s chair, a strong whitening agent is applied to your teeth. The rest of your mouth, including your gums, will be protected from the whitening formula, and a special buffer gel will be used to protect your tooth enamel from any potential damage. The treatment is extremely effective, and can go a long way to transform your smile. In fact, your teeth can become several shades whiter following a professional whitening procedure. For more about our in-chair whitening services, have a look here. How does a take-home bleaching treatment work? If you prefer, it is possible to use a teeth-whitening treatment at home. First, you will come in for a consultation at which time your dentist will take impressions of your teeth to make whitening trays to fit both your upper and lower teeth. Your dentist will then let you know how to use the bleaching materials correctly, so that you can take them home and apply the gel regularly. You should notice results after around ten days of treatment. For more information on take home bleaching kits, have a look here. How can I keep my teeth clean and bright? One of the best ways to brighten your smile is to keep them clean. Consider getting your teeth professionally cleaned in order to get rid of plaque and tartar that can’t be removed with brushing. Plaque is a sticky substance made up of bacteria. If it is left on your teeth, the bacteria release toxins, which can irritate your gums and cause tooth decay. While your daily routine of brushing and flossing should remove most of the plaque on your teeth, it’s important to get a professional scale and clean to remove bacteria that has calcified. Tartar refers to the hard, calcified build-up on the teeth that can’t be removed with regular brushing and flossing. Tartar is caused by small amounts of plaque that may be left on the teeth. Tartar, which can cause decay and periodontal gum disease, can only be removed in a professional procedure known as scaling. A professional clean can also help to remove stains and discolouration on the teeth. It is quite common to experience discolouration caused by food and drinks, such as tea, coffee, red wine, dark berries, and soya sauce. A professional scale and clean can remove this kind of surface staining, and keep your teeth healthy — all with the added bonus of brightening your smile. For more on our professional cleaning services, read here. Are you interested in a whitening treatment or a professional cleaning? Get in touch today. Make an appointment here. Ready to enhance your smile even more? 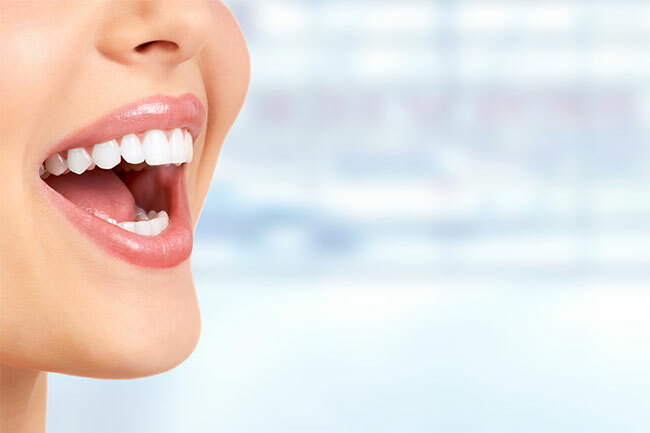 We offer a wide range of cosmetic dentistry services that are designed to improve both function and aesthetics, including braces, veneers, crowns, bridges, and dentures. Not sure what the best option for your needs might be? Please don’t hesitate to get in touch with our friendly team who will be happy to arrange a consultation. Find out more about the range of treatments we offer at Gold Coast Dental Studio. GOLD COAST DENTAL STUDIO NERANG. ALL RIGHTS RESERVED.